It is a well-known fact that I love holidays. My husband teases me about it mercilessly. But I can't help it. I love the excitement of a special day. So I celebrate as often as I can. St. Patty's Day is definitely a favorite. I have ancestors from Ireland, and my sister and I went on an epic Ireland trip about 6 years ago so I have a special place in my heart for all things Irish...celebrating St. Patrick's Day is one of those. So if you're looking for some fun ideas for the 17th, here are some of the things we have done in the past. 1. 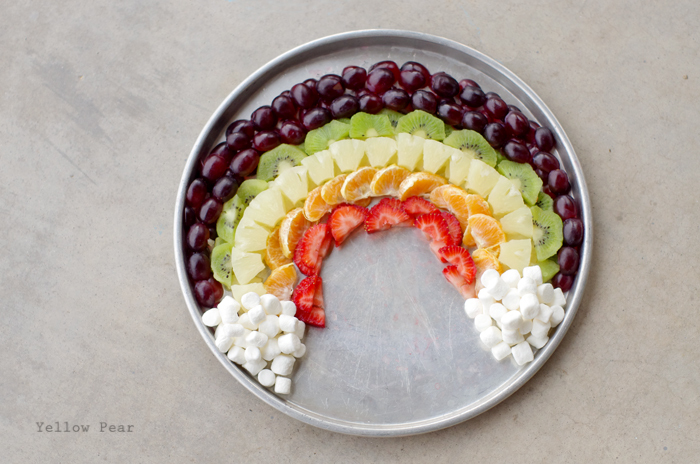 Make a Fruit Rainbow for a healthy breakfast or snack. 2. 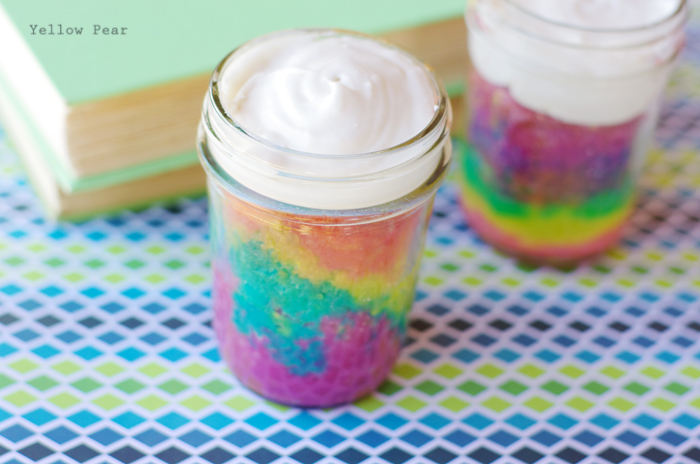 Serve individual Rainbow Cupcakes in mason jars for dessert. 3. 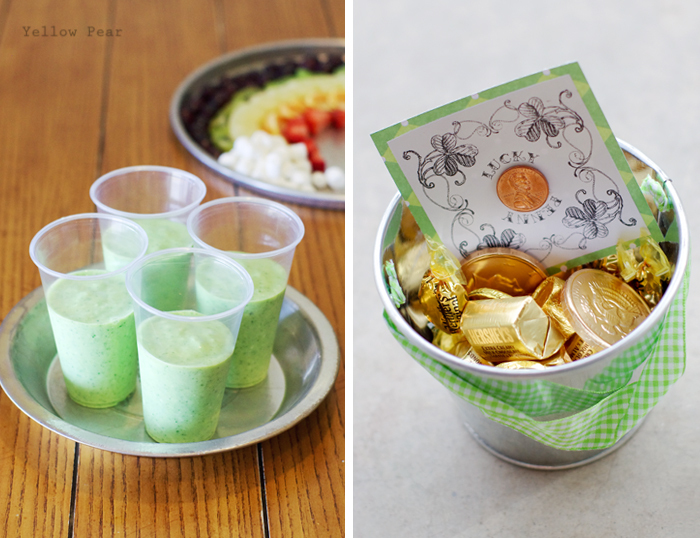 Whip up some Green Smoothies for breakfast. 5. 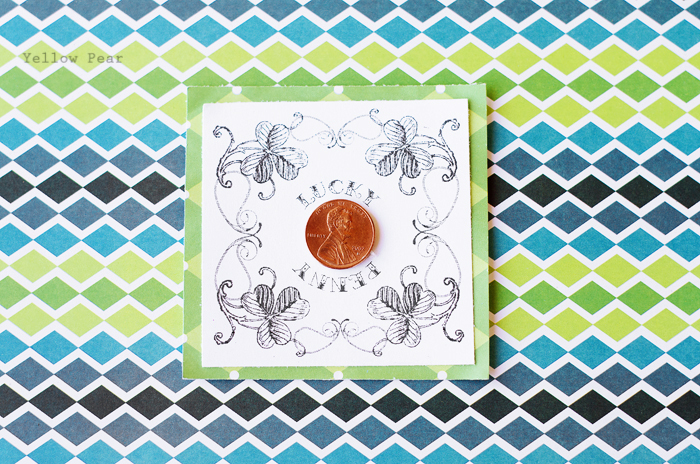 Give a lucky penny to your family members or friends. Use a penny from their birth year to make it even more personal. I don't ever have a working color printer because I have a printer curse, so I printed the cards in BW and added green paper for color...you have to get creative sometimes. 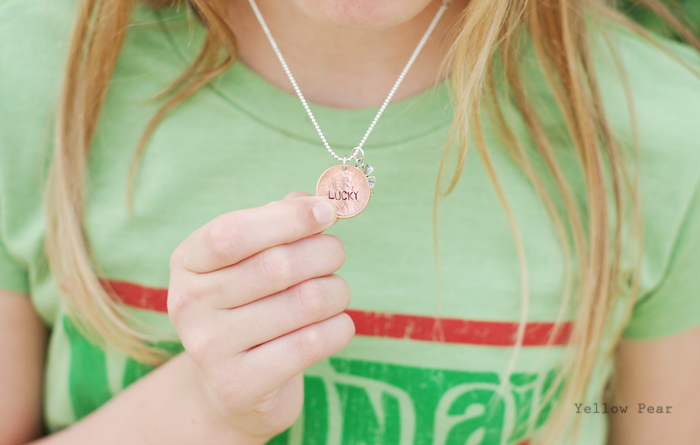 Or get a lucky penny necklace (complete with four leaf clover charm) for someone special. 6. 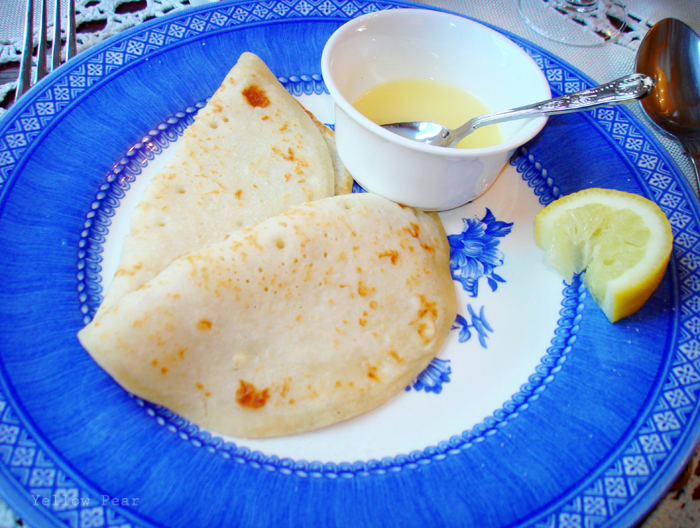 Eat Irish Pancakes at a delightful B&B in Ireland. Or if that's not in the stars this year, make your own Irish Pancakes. They are so yummy served with granulated sugar and lemon juice. Seriously. Also you should plan a trip to Ireland. You won't regret it. :) And now I want to go back. Such fun ideas. My favorite is a trip to Ireland....someday! Orrrrrr go to boston and watch the St Patricks day parade? !